Looking for a space to rent for your holiday party? Look no further! Holidays are time to celebrate! 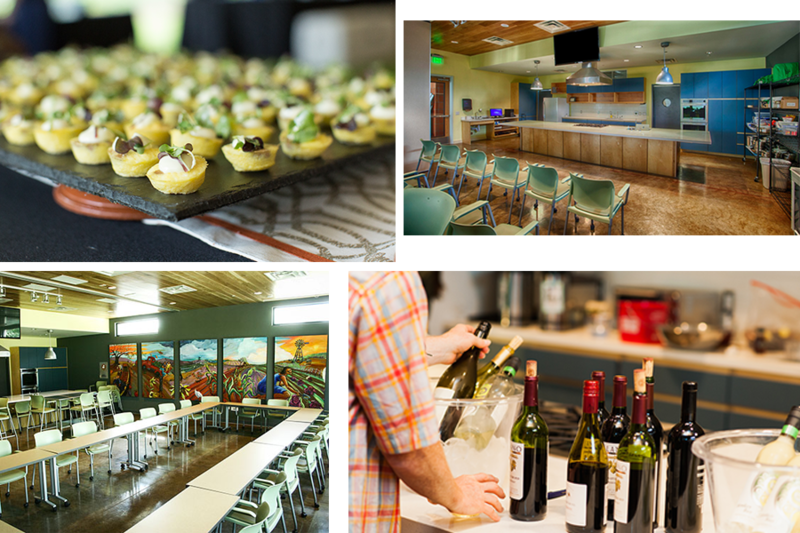 Make this year’s holiday party memorable by having it at Sustainable Food Center. Our fully functional commercial kitchen is perfect for self-catered holiday get-togethers, birthday parties, business meetings, movie nights, family gatherings and celebrations. When combined with the adjacent community room, our solar-powered, 4-star rated green energy space can accommodate up to 75 people. Have a bigger group? Consider renting our Teaching Garden pavilion, too! Founded in 1993, with roots dating back to 1975 as Austin Community Gardens, Sustainable Food Center is involved in every step of our local food system. SFC cultivates a healthy community by strengthening the local food system and improving access to nutritious, affordable food. We envision a food-secure community where all children and adults grow, share, and prepare healthy, local food! We offer fun, cooking-based team building experiences for groups of up to 20 people. Participants have the opportunity to challenge themselves in new ways as they negotiate the kitchen and each other. Team members will chop, blend, sauté and bake their way into better relationships, more effective communication, enhanced cooperation and more confidence. Sample Menu: White Bean, Kale and Sausage Soup, Spaghetti Squash with Garlic and Parsley, Honey Rosemary Chicken and Cornmeal Olive Oil Cake.